The movie depicts racket of organ donors being killed in staged accidents and their organs being sold to international patients. Thiruvananthapuram: A movie in Malayalam, “Joseph” is facing strong criticism by the local branch of the Indian Medical Association (IMA) which criticised the movie for portraying organ donation in a bad light. The movie has drawn a negative response from the Indian Medical Association, Kerala state branch which pointed out that the movie could affect people’s mind regarding organ donation. As per the media accounts, the movie Joseph is based on a book named Sharira Shasthram, written by Benyamin who has discussed the conspiracies behind the organ donation. The movie depicts a medical racket through which potential organ donors are murdered in staged accidents. The organs of the deceased donors are then sold the foreign patients while poor people in the country, who are genuinely in the list to receive organs, are given fake surgeries. The book touches the side of corruption in the field. The movie, while being praised by many, has met opposition from the medical fraternity in the area, as doctors alleged that the movie would create a paranoia relating to organ donation. According to officials, it is already very difficult to get organs. 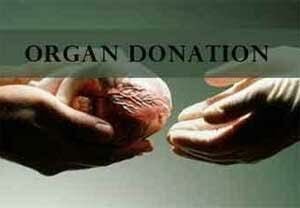 People are reluctant to donate their organs, sometimes because of a strict rule and often due to myths and beliefs. The director of Joseph, M Padmakumar explained The News Minute, “How do you show the no-smoking ad? By showing a person who smokes and the harm it causes. The film has also been taken with a similar idea. There are films that have shown the good side of organ donation, like Traffic. The public are aware. And Joseph is not an attempt to show the idea of organ donation in a bad light, but to give a warning. The writer of the book remarked that the IMA should be able to see fiction as fiction and life as life – as two different worlds. “But there are problems happening in the medical world, the doctor himself had agreed so in his Facebook post. As a writer I feel responsible to tell the society to be cautious,” Benyamin told The News Minute.